Also see: "Republicans are Criminals"
" ... Rothstein is credited with bundling millions of dollars for GOP presidential candidate John McCain and numerous state and Broward County races. For his efforts, he was invited to Gov. Charlie Crist's wedding. ... "
Smiling Republican financier and accused embezzler Scott Rothstein is a fugitive. McCain's Broward County benefactor stole $200 million and is said to be "out of the country." Fort Lauderdale, Fla., attorney Scott Rothstein's meteoric rise in the South Florida legal and political worlds ended over Halloween weekend with the revelation that investors claim he stole in excess of $200 million. Rothstein Rosenfeldt Adler founding partner and law firm president Stuart Rosenfeldt, in a complaint filed Monday by Coffey Burlington partner Kendall Coffey, asked Broward Circuit Judge Jeffrey Streitfeld to dissolve the law firm and appoint a receiver to take over the firm's finances but not its legal practice. A hearing Monday resolved nothing, including Rothstein's whereabouts. A second hearing was set for Tuesday. "This is a seismic blast that shattered the law firm," Coffey said at the hearing. Afterward, he said, "When you have a shattering event like this, you still have cases, you still have hearings to attend, you have closings. All of that is ongoing." Rothstein's attorney, Marc Nurik, who quit the firm to take his former boss as a client, told Coffey that Rothstein is out of the country. Coffey said he heard "rumors from country A to Z" on Rothstein's location. Coffey said Rosenfeldt and the firm wanted Miles McGrane of McGrane Nosich & Ganz in Coral Gables to be named receiver, but the judge asked about appointing Rosenfeldt as half owner of the firm rather than "bring in a total stranger." Coffey noted Matthew Menchel of Kobre & Kim of Miami, who represents a large creditor, wants James Cassel to be the receiver. After a brief discussion among lawyers, Rosenfeldt said he would be willing to take charge. An amended complaint proposing an outside receiver or Rosenfeldt to take charge of firm finances could be filed in time for Tuesday's hearing. 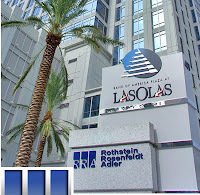 "It is with surprise and sorrow that the attorneys of Rothstein Rosenfeldt Adler have learned that Scott W. Rothstein, the managing partner and CEO of the firm, has, according to assertions of certain investors, allegedly orchestrated a substantial misappropriation of funds from investor accounts," the complaint said. Rothstein is credited with bundling millions of dollars for GOP presidential candidate John McCain and numerous state and Broward County races. For his efforts, he was invited to Gov. Charlie Crist's wedding. Money was taken "from investor trust accounts that made use of the law firm's name," the lawsuit said. The money was not associated with cases handled by the fast-growing, 7-year-old law firm but from the structured settlement business created and operated by Rothstein, according to the complaint. 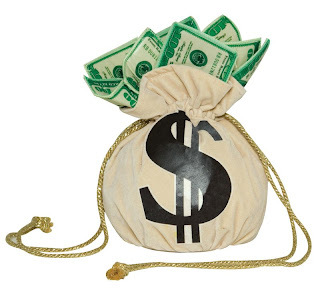 The business purchased structured legal settlements and sold them to investors. "Immediate judicial action is being sought to facilitate the investigation and accounting of investor funds and to address the ongoing affairs of the firm in an appropriate manner," Coffey wrote in the complaint. After the hearing, he said, "the law firm is facing significant financial challenges." Rothstein maintained iron-fisted control of the law firm's finances, and its attorneys had limited knowledge of the alleged scheme until just recently, according to the complaint. "I trusted him," Rosenfeldt said of Rothstein. "Scott was like a brother to me." The firm hired public relations consultant Charles Jones on Monday morning. He said the firm is open and attorneys are working on client matters "and trying to keep things as normal as possible." The firm intends to separate Rothstein from the rest of the firm and have the receiver take over the firm's financial management, Jones said. "Firm lawyers learned in the past few days about irregularities surrounding a settlement funding business operated by Rothstein," according to the complaint. "A review of the firm's records undertaken over this past weekend indicates that various funds unrelated to the direct practice of law cannot be accounted for, circumstances suggesting that investor money may have been misused by Rothstein who controlled all such accounts." In the most serious allegation in the complaint, Coffey wrote that some investors claimed "Rothstein may have been fabricating non-existent structured legal settlements for sale to investors." If that happened, it would move the case from the realm of pilfered money to an outright fraud. Melanie Damian, a Miami attorney with Damian Valori who often serves as a court-appointed receiver, said lawyers who deal in fraud cases were suspicious of Rothstein's ostentatious spending. One of his latest ventures was partnering in a restaurant at the former Versace mansion on South Beach. The firm's name was also prominent at sports venues such as the American Airlines Arena in Miami and the BankAtlantic Center in Fort Lauderdale. "The law firm economics didn't make sense," she said. "A law firm that size wouldn't have generated the money he was spending." It wasn't unusual to see the attorney eating at one of his restaurants, such as Bova Prime on Las Olas, with a group of bodyguards. Rothstein spent almost $400,000 a year on off-duty police protection, which he started after a lawyer at the firm was killed. The firm was thrust into the public eye in March 2008 when partner Melissa Britt Lewis was strangled inside her Plantation garage and dumped in a canal. Tony Villegas, the estranged husband of the firm's longtime chief operating officer and Lewis' best friend, was charged in her murder. Rothstein later hired bodyguards to protect his colleagues and family. Off-duty police guarded his home, law firm and restaurant around the clock until Monday. Fort Lauderdale police spokesman Frank Sousa said the three details have been "suspended indefinitely." Broward Chief Circuit Judge Victor Tobin alerted judges and judicial assistants to "some very distressing news" before court opened Monday. In an e-mail, he asked that the judge assigned to the receivership case set a quick hearing "because of the amount of clients and money involved." "I don't know if the lawyers will come or not, and if they do come there is no money at this point to go forward with the case or pay firm employees," the judge wrote. A receiver is needed immediately to "marshal whatever is left of the assets." "We're just trying to keep our cases moving, and we're trying to make sure that we take care of the staff members here," he said. Rothstein recruited defeated Broward Judges Pedro Dijos and Julio Gonzalez, retired 4th DCA Judge Barry Stone and Palm Beach Circuit Judge William Berger, who resigned from the bench after he was offered the chance to run the firm's Boca Raton office. The firm also has a consulting, political strategy and lobbying arm headed by longtime Republican operative Roger Stone. Stone's Web site, The Stone Zone, makes no mention of the troubles at the firm, with the latest post coming three weeks ago after President Obama won the Nobel Peace Prize. Rothstein and Rosenfeldt are the firm's only equity shareholders, each holding 50 percent. Russell S. Adler's name joined the masthead when he joined the firm in 2005 but not as an equity partner. Adler had no comment. Rothstein previously told the Daily Business Review that he uses partners as an advisory board. "We cannot tailor-make the situations of our life, but we can tailor-make the attitudes to fit them before they arrive," his message said. "Make it a great week." No criminal charges have been filed. A spokesman for the U.S. attorney's office in Miami declined comment. In another high-profile receivership, Lewis B. Freeman & Associates asked a Miami-Dade circuit judge to name a receiver to take over the business Oct. 16 just days after the FBI raided that firm's Miami and Plantation offices. Agents were seeking information tied to $3.6 million in funds under the control of Lewis Freeman. The attorney and accountant was well-known as a court-appointed receiver. The Republican Party of Florida has been a big beneficiary of Fort Lauderdale lawyer Scott Rothstein's contributions and fundraising during Gov. Charlie Crist's leadership. Here's how Crist responded today to questions about Rothstein after he toured a small Web development company in Fort Lauderdale. Question: Scott Rothstein has given more than $500,000 to the Republican Party in the last few years. You went to his wedding. You obviously have a close relationship with him. What’s your reaction to some of the troubles that are going on there? Crist: Well I don’t think we know exactly what those items are. And so I want to not comment too much. I understand that there may be some difficulties. And I just hope for the best. Question: Any thoughts about giving back the money that he has donated? Crist: It depends on what it is. I don’t want to put the cart before the horse. And I don’t want to prejudge anybody. I never prejudge anybody. And so let’s see what the facts are first before we jump forward. Doesn’t look great. Question: Did you have any indication there would be any kind of problems with Rothstein or was this a surprise to you? Question: You never heard any rumors or anything? Crist: I think everybody heard rumors. But I don’t put stock in rumors. Neither should you. Thanks so much you all. FORT LAUDERDALE - A few weeks ago, Scott Rothstein sent an urgent e-mail to his colleagues. As law partner Stuart Rosenfeldt remembers it, Rothstein said he had a client who needed to know which countries lack extradition treaties with Israel and the United States. Extradition treaties allow people accused of crimes, or convicted of them, to be sent back to the country where the alleged crimes occurred. The question Rosenfeldt and others are asking now is: Where is Scott Rothstein? Is he in Morocco? Rothstein and an uncle who worked at the firm left last week, Rosenfeldt said. He believes they flew away in a private jet he said Rothstein leases. As rumors flew late last week, some people went to a charity-related party at the Rothstein home in Fort Lauderdale just to see if he was there. It was Thursday night, and communications consultant Chuck Malkus said the city already was abuzz. Kim Rothstein told the 150 attendees her husband was out of town. "It was normal for Scott Rothstein's standards,'' Malkus said. "The very expensive cars were parked out in front like you were going to a car show or the opening of a car dealership.'' A yacht was out at the dock, there was valet parking, and the bar was open. Normal, except, no Scott Rothstein. Staff writers Jon Burstein and Robert Nolin contributed to this report. ON ROTHSTEIN'S MACHIAVELLIAN BASTERD TENDENCIES: "Scott Rothstein Calls Himself "Jewish Avenger," Out to Destroy the Pulp"